Luxury awaits you at Copper Kettle Lodge. Located between the Black Forest and the Bullet Express Quad Lifts and just a short walk to the village center, this stunning three bedroom condo rental promises premium lodging, perfect for your Big White Resort vacation. 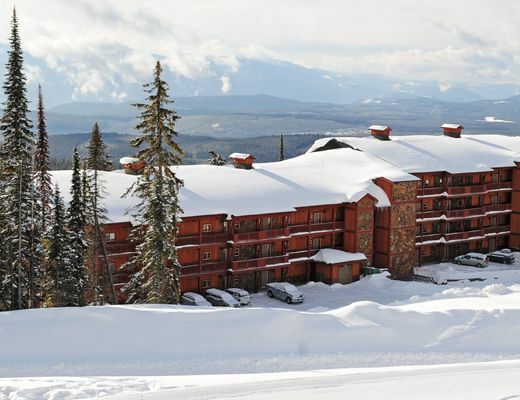 With desirable ski-in/out access and phenomenal interior finishes, guests are certain to enjoy the impressive accommodations provided here. Vaulted wood ceilings, exposed beams, beautiful appointments and a dominating rock fireplace fill the property with grandeur, while touches of stainless steel, granite, slate and glass provide a modern edge. The fully equipped kitchen offers gourmet features ensuring culinary inspiration, while each bedroom is host to lovely furnishings and soft linens. Internet access, equipment storage, an outdoor grill and a private hot tub round out the list of amenities you will be delighted to discover here.